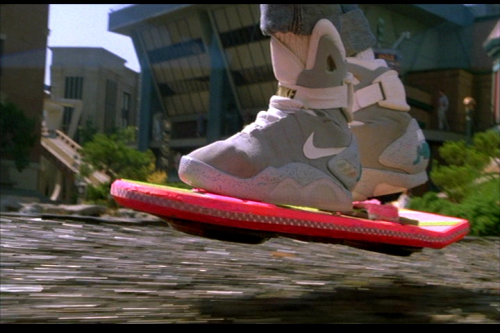 You are here: Home » 2015 – The year of the Hoverboard! It’s now 2015. That means that this year we will see some great fashions as well as a product from Matel that we have been waiting thirty years to own. A hover board! Fashions maybe a bit strange but on the plus side we will be getting self tying shoes as well as automatically fitting jackets that will also dry you if you fall into a pool. 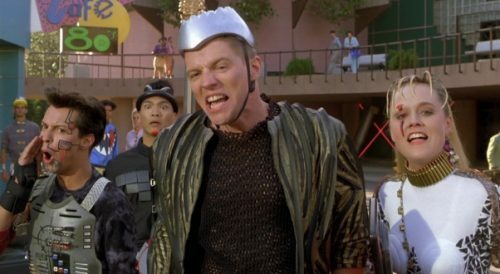 This is all, according to Back to the Future 2, that we are looking for. Other bits are a bit more dubious. That being the films that should be showing in the cinema this year. 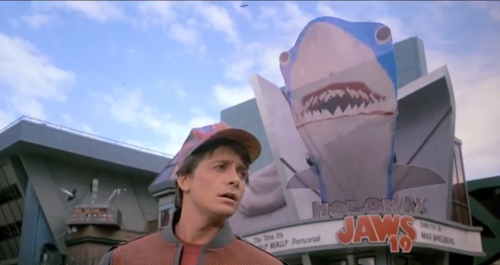 The only one that we know of to be released is Jaws 19 directed by Steven Spielberg’s son Max. I haven’t heard how far along production this film is but I’m looking forward to it if the poster is anything to go by 🙂 The critics, on the other hand, call it Jaws without bite! Back to what fashions we have to look forward to in the nest 12 months. I’ve seen worse things being worn in the name of fashions. Yes, that was in the 1980s and early 1990s! I wouldn’t be surprised if some fashion house takes this fashion and puts it in a collection sometime this year. For the fashions, the only things I would love to own would be the self-tying shoes and the auto-fitting jacket. I’m always getting them too short in the sleeves or too small around the waist. I just hope they come in better colours with more pockets.